When it comes to riding or running to work, London is a world-leader, according to new data from Strava, a leading social network for athletes. Strava has looked at the habits of its users in 12 cities around the world. London topped the list for rides and runs with over 10 million activities logged in the last year. "We've analysed billions of GPS data points and millions of activities to give a never-seen-before insight," said Strava co-founder Davis Kitchel. The "Strava Insights" project revealed that nearly 10,000 bike or run commutes - journeys within the morning and evening rush-hour windows - are logged in London every day, four times as many as San Francisco and Amsterdam, the cities second and third respectively on the commutes list. 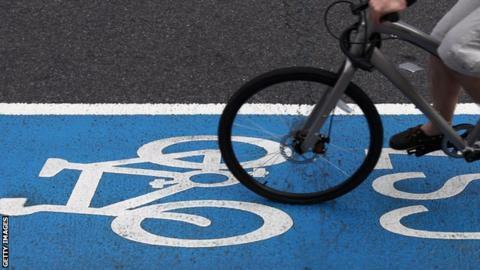 However, London's population is about 10 times the size of those two bike-friendly cities, although London's numbers do compare well to cities of similar sizes, such as New York, Sydney, Berlin and Paris. Analysis of all logged activities show Tuesday is the most popular day for a bike ride in every city apart from Sao Paulo (Wednesday). According to the results, Amsterdam residents ride the fastest (15.9 miles per hour on average), those in Milan cycle the furthest (33.7 miles) and Parisians run the fastest (eight minutes 56 seconds per mile). The figures also show that users in Sydney ride or run the earliest, Sao Paolo residents exercise latest, and those in Barcelona have the toughest terrain to contend with. Strava, which was launched in 2009, uses global-positioning-satellite technology to record rides and runs, allowing users to compare their performances against other users. The San Francisco-based company does not reveal its total membership but claims it is growing by 100,000 new users every week.